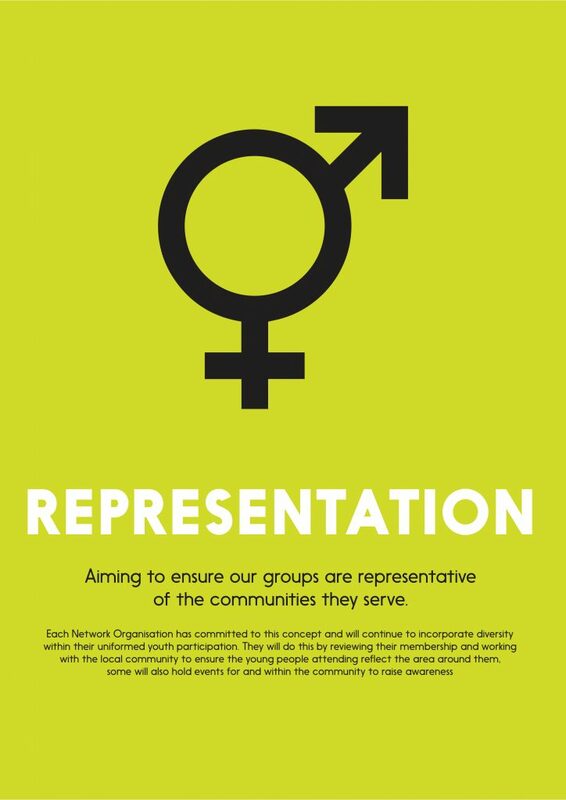 Representation – Aiming to ensure our groups are representative of the communities they serve. Each Network Organisation has committed to this concept and will continue to incorporate diversity within their uniformed youth participation. They will do this by reviewing their membership and working with the local community to ensure that the young people attending reflect the area around them; some will also hold events for and within communities to raise awareness.